I've been a big fan of mixing prints every since I saw Jenna Lyons pull it off so beautifully with J.Crew's styling years ago. Combining stripes and plaids adds dimension and interest to what could otherwise be a simple look. 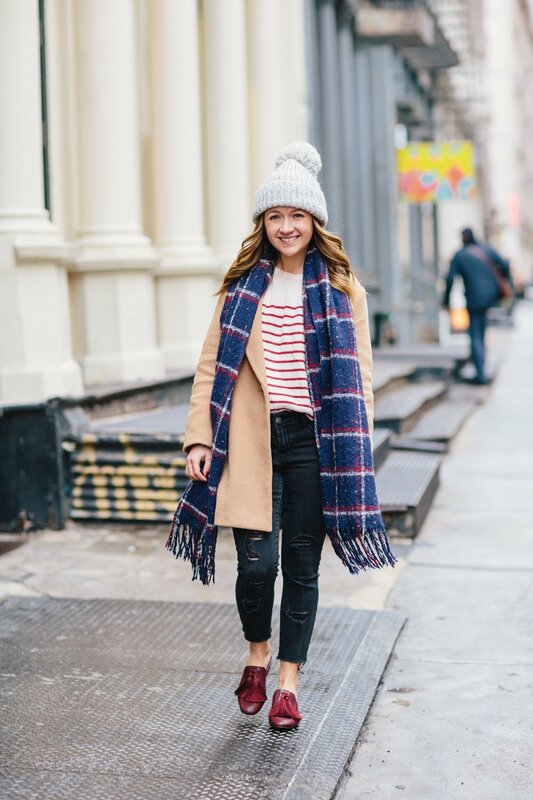 In the winter when lots of layers are required to stay warm, playing with color and print is an easy way to keep some personality in your day-to-day outfits. A striped sweater is a classic look that works for every season. While I love a blue and white stripe on just about anything, I have a soft spot for red stripes as well. I picked up this red striped sweater years ago and have kept it in rotation season after season. 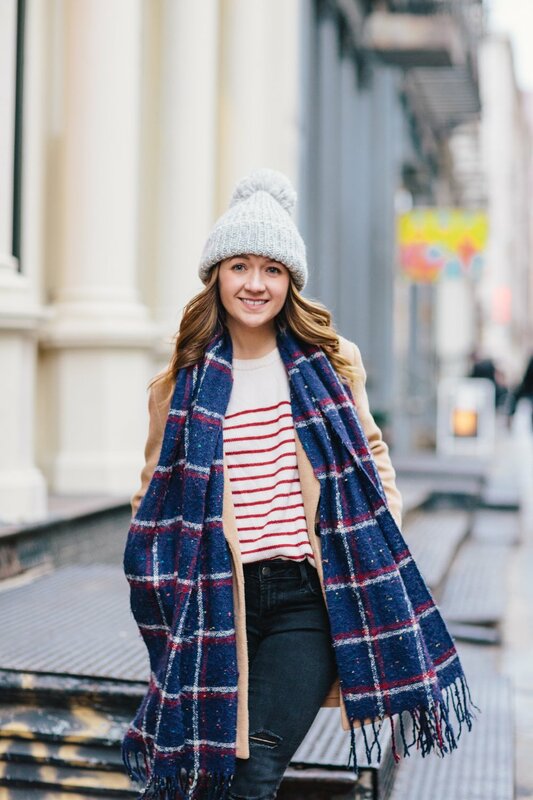 If you're looking to add some red stripes to your wardrobe, this sweater from Loft and this version from And Other Stories are great options.